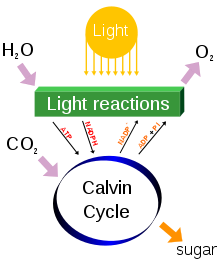 Photosynthesis, the process by which plants convert and store energy from the sun, is the most powerful energy conversion process on the planet. Imagine if that process could be reconfigured to turn sunlight into fuel that could heat homes and power cars and trucks. That's what Nathan S. Lewis, a chemistry professor at the California Institute of Technology in Pasadena is working on. He is the principal investigator for a five-year artificial-photosynthesis project that was awarded a grant of up to $122 million by the federal Department of Energy. “We will be leading a national and international effort to produce fuels directly from sunlight,” said Dr. Lewis, whose Joint Center for Artificial Photosynthesis is one of three Energy Innovations Hubs set up by the Energy Department. Dr. Lewis is developing artificial leaves. The "leaves" are inspired by the things that grow on trees but will look different. The final design is far from clear but something along the lines of thin sheets of plastic embedded with light-absorbing materials, or sheets of bubble-wrap-like material spread out over a field that take in sunlight and water vapor and emit, for example, hydrogen or methanol is being considered. The concept of artificial leaves is not new. The problem has been one of cost and durability. Using new technologies gathered from around the world, Dr. Lewis and others hope to overcome the problems of the past.